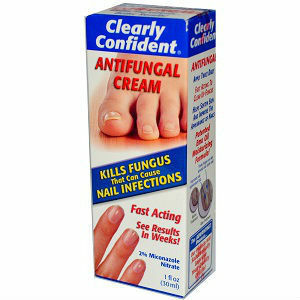 Ganeden Antifungal Cream is an antifungal treatment product that is considered to be fast acting; with the results visibly apparent in only a week’s use. It comes with applicator sticks alongside 1 nailbrush and a nail tool. Miconazole Nitrate (2.0%) – This ingredient is the active one which is responsible for the overall process of the removal of the fungus in the infected area. Lactobacillus ferment, titanium dioxide, water, emu oil, polyacrylamide (and) C13-14 isoparaffin (and) laureth-7, fragrance, methylparaben, phenoxyethanol, propylparaben, ethylparaben, and butylparaben,. These inactive ingredients are supporting components to the major ingredient which helps in enhancing skin tissues and the appearance of the nails after the treatment regime. There is no indicated precise amount for dosage but it is recommended to apply the product in the infected area twice in a day with the use of the tools that come alongside the product. This product is strictly for external use only. There may be some allergic reaction given the interaction of the individual ingredient to the body’s mechanism; that is why it is recommended to read the packaging and heed assistance from experts. The product have long term results as long as the user will continuously apply it in the infected area in the period of time until there are no more indications of the existence of the fungus. The product costs about $16.80 per pack which is quite expensive compared to other fungal treatment products. This may be because of the tools that are present together with the product. There are no claims for any money back guarantee. The manufacturer is confident with the satisfaction that their product can give. The Ganeden Antifungal Cream is a good antifungal treatment considering its claims. However, it doesn’t give any money back guarantee. Jack Stevens	reviewed Ganeden Antifungal Cream	on June 22nd	 and gave it a rating of 3.